I really enjoy your blog. I thought you might find this interesting, although my drums are not as old or rare as the ones you normal write about. My drum set was inspired by Fred Young of the Kentucky Headhunters. 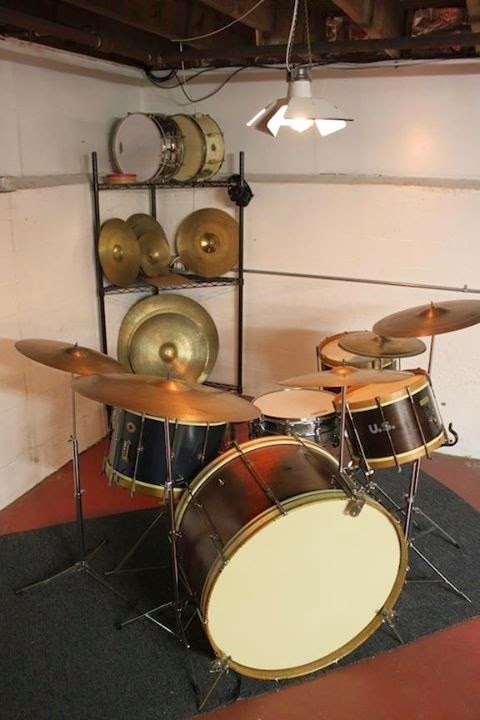 I think his set is made up of single and double tension Ludwigs. I prefer single tension tuning because it is easier to achieve the sound I like. And it looks unique. I can have any number of rods on any drum, regardless of eyelets. Anyway, enjoy. 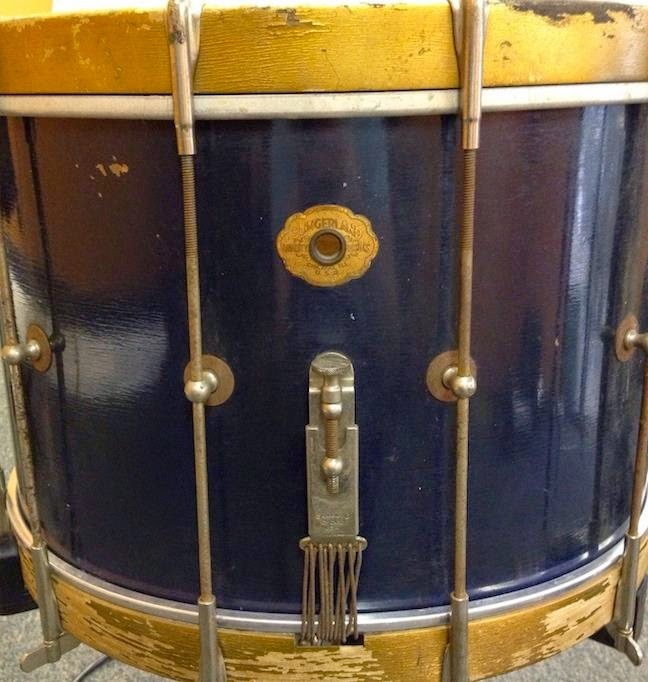 13x8 Leedy 20s-40s refinished. 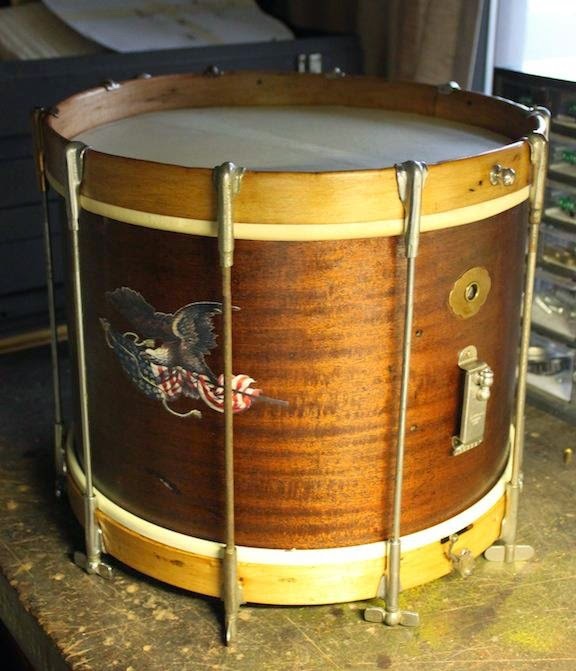 Actually a Ludwig, but I like the Leedy logo. It took me several years to find the right drums. 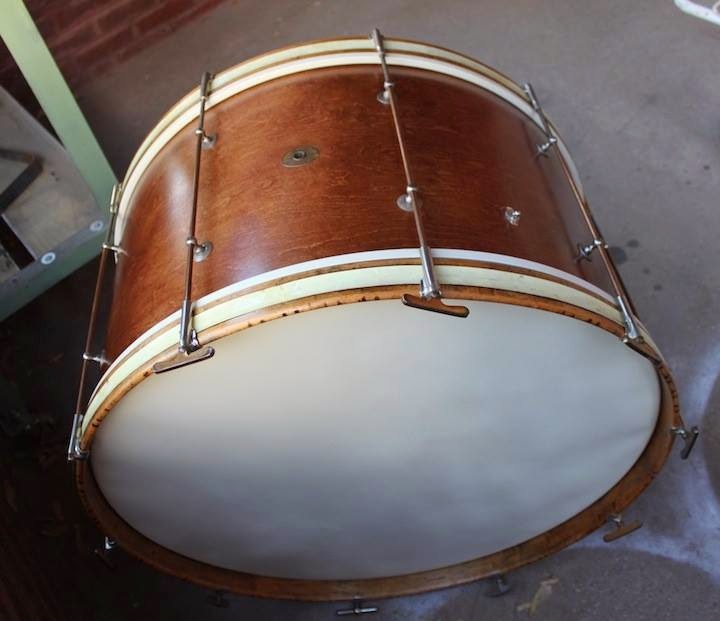 I had to do it on a budget, so I bought drums that needed repair or restoration. The decals were a lot of fun to research and reconstruct. 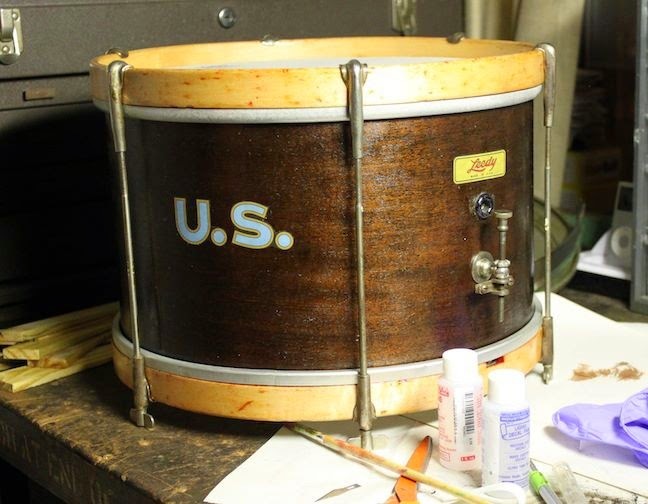 I have some images of the drums before I restoration, if you'd like to see them. The only drum that was in good condition is the blue Slingerland. I have plans to paint a design on the front bass head. It is inspired by old marching band designs. 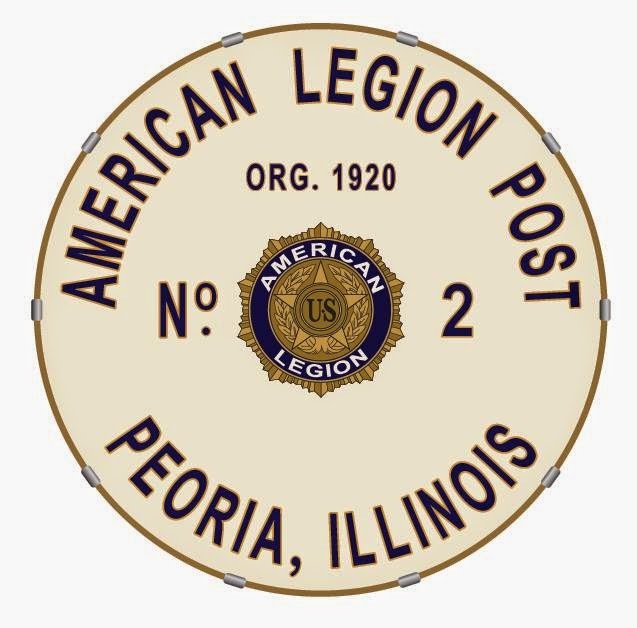 The colors closely match my blue snare, and being that my family has a long military history, I thought the American Legion was a fitting choice. Don't know when I'll get around to painting it. Hopefully this summer.